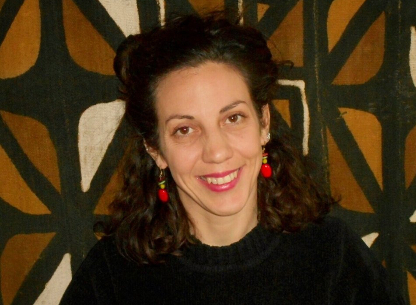 Katerina Karatzi began her studies in West African dance with Daphne Asimakopoulou and West African drumming at “Ta Krousta tis Taki” with Lefteris Grigoriou in 2006 . She has attended dance workshops given by Norma Claire, Aicha Diallo, Moise Kourouna, Mamadama Camara, Fanta Dembele, Issa Sissoko, Tieble Vieux Diarra and Mamadou Dian Camara. Also, drumming workshops by Famoudou Konate, Babara Bangoura, Harouna Dembele, Davide Torti, Mare Sanogo, Μoussa Oulare and Taga Sidibe. In December 2010 she travelled to Mali and Guinnea (Conakry) to study the music and dance traditions of West Africa. She has performed with dance and drumming groups “Anasa”, “Ta Krousta tis Taki”, “African Percussion” , “Ubuntu Group” and Πangea World Music Center. They look calm and carefree but at the same time, the earth trembles as they walk, as if each step causes an earthquake. They seem to possess a spiritual and dynamic presence. These are the people of West Africa. Warming up that is important for the prehating of the muscles and the release of the neck, the chest, the pelvis, the hands and the legs by understanding how each part of the body is moved seperately from the rest. Familiarity with the West African Dance through simple and basic steps.